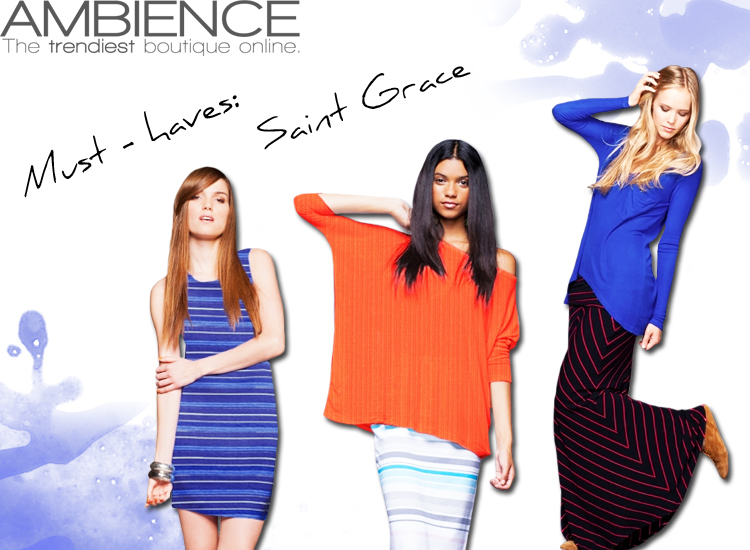 Our featured designer of the day is Saint Grace. These new arrivals are total must-haves, with stylish and cool silhouettes, on trend colors, and fabric so comfortable you'll never want to take them off. Think of your favorite pajamas...yeah, they're that comfortable. Saint Grace is known for adding funky sophistication to casual wear for women that translates seamlessly from day into night.The tops, pants, skirts and dresses are made in buttery soft fabrics that you need to feel the believe. 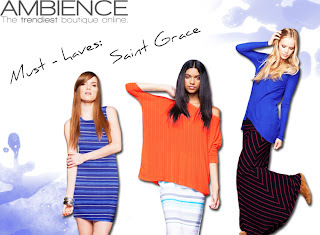 Shop the Saint Grace new arrivals at ShopAmbience.com!